They came. They saw. They learned. Hundreds of youngsters, teens and parents steadily flowed onto the Umpqua Community College campus for this year’s second annual STEAM Extravaganza. 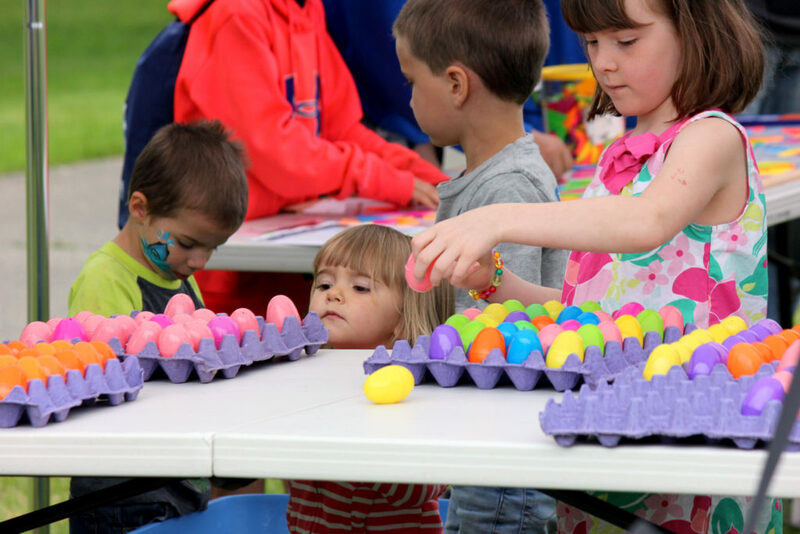 And with dozens of creative educational activities to keep them busy, the May 19 event turned into hours of entertainment for many. Parents Tracy and Jon Martz said their children found plenty of entertainment at the event. “We could have spent, like, eight hours here,” exclaimed Tracy, who brought the couple’s 4-year-old twin daughters and 7-year-old son. 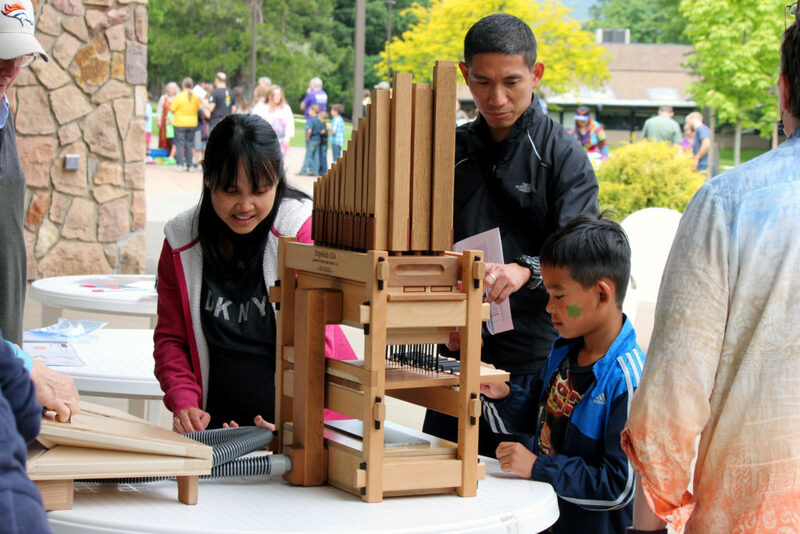 A wooden tower swaying with seismic forces, simulating a building in an earthquake, was a draw for UCC instructor Jenny Young-Seidemann. “We have to get ready for the 9.0, so it’s very interesting to hear about how we can maybe fit buildings so they don’t fall down,” she said. 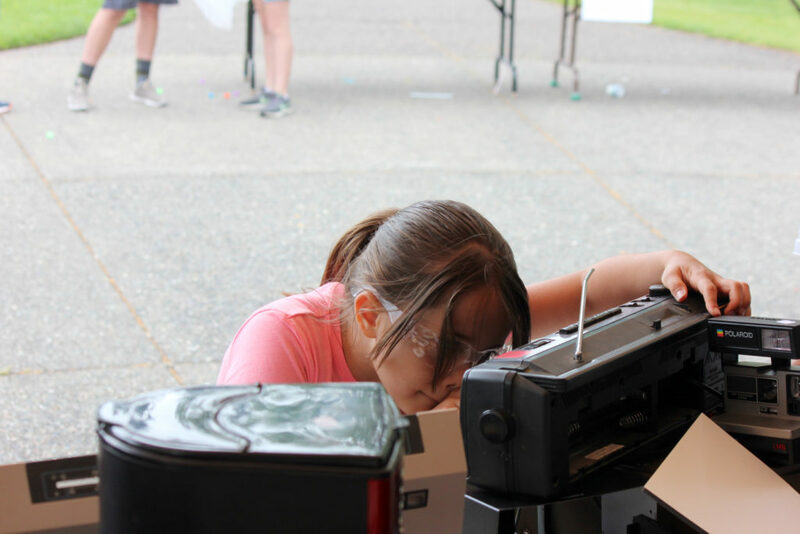 Other exhibits included police technology, drones, demonstrations by Douglas County’s world champion robotics team, the Mechanical Maniacs, soil erosion models, microscopes, bridge-building and more. 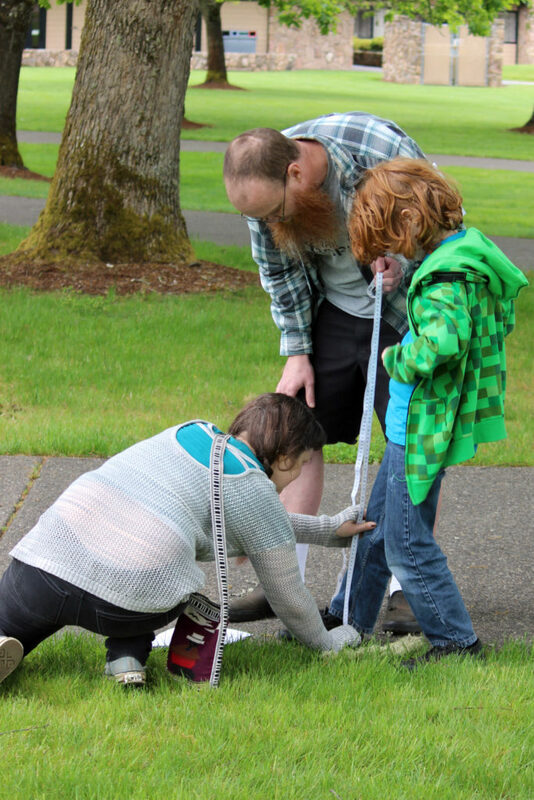 UCC astronomy professor Paul Morgan’s Solar System Walk also kept families busy scampering around campus to get a feel of the solar system’s actual size and scale. There were also opportunities to build a pipe organ, and a FIRST Lego League Junior Expo. 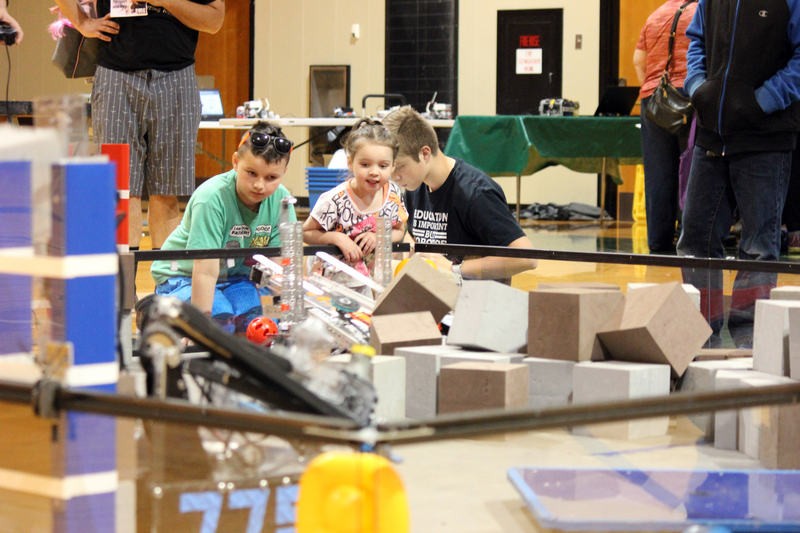 Mechanical Maniacs member Josiah Van Hattem said he enjoyed the opportunity to share robotics with the community. The activity promotes communication and teamwork and prepares youth for the workplace. Fourteen-year-old William Young-Seidemann said he appreciated being able to learn about so many topics at one event. 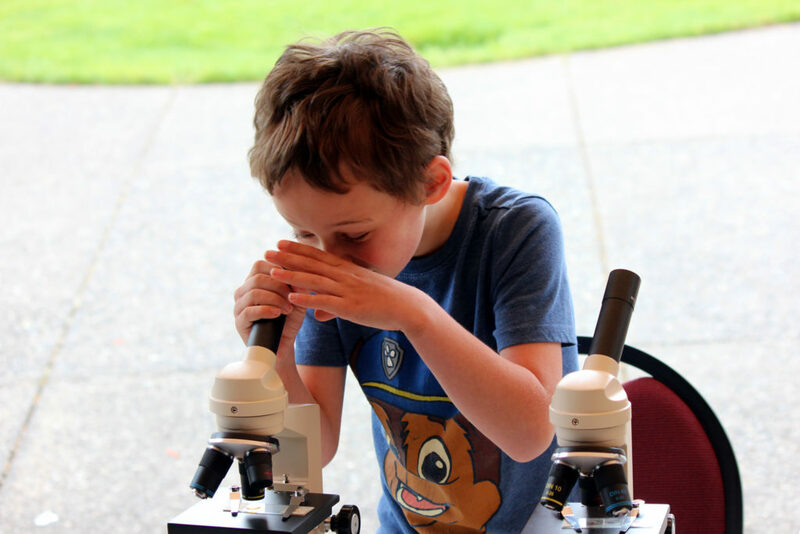 “It lets kids learn more about stuff like science and engineering and math, and astronomy,” he said.